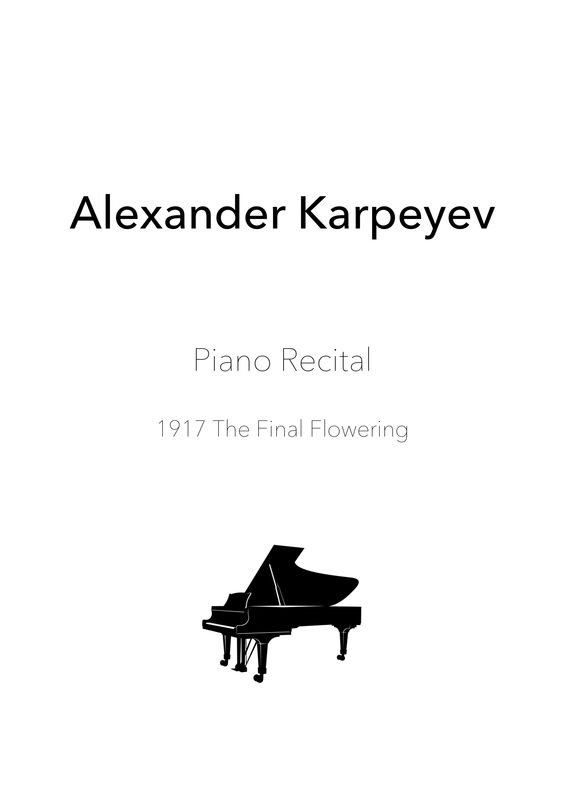 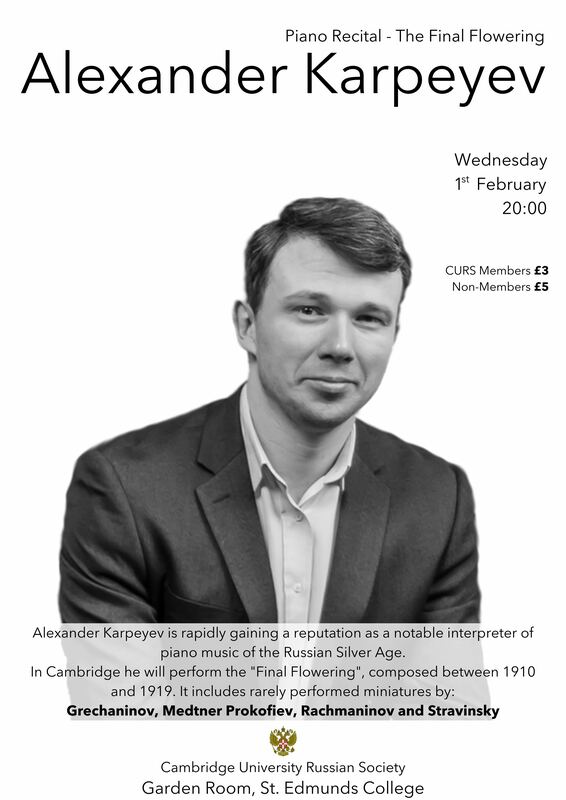 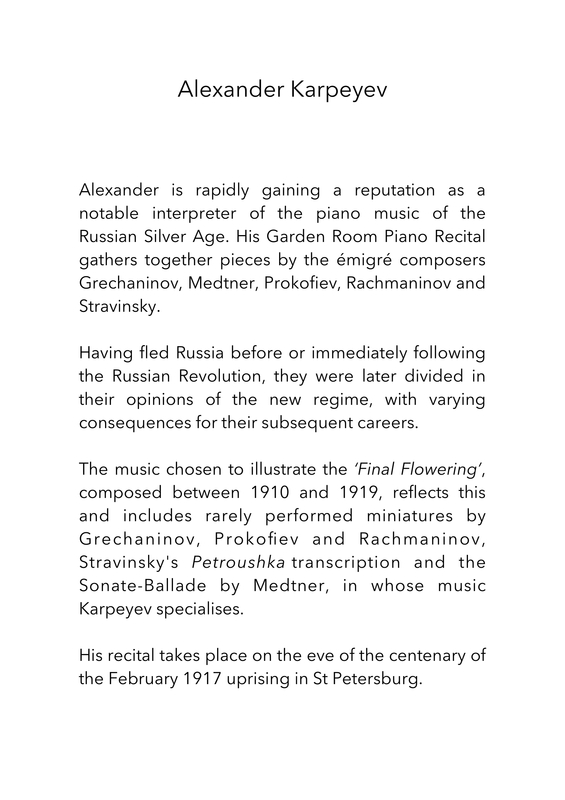 Alexander Karpeyev is rapidly gaining a reputation as a notable interpreter of piano music of the Russian Silver Age. 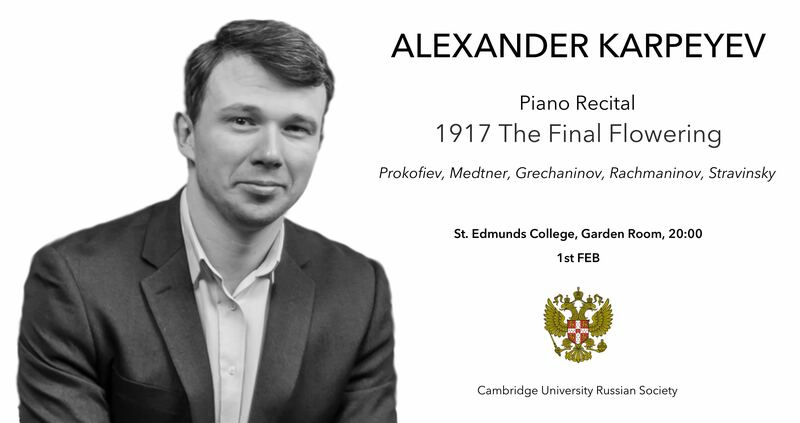 In Cambridge he performed the “Final Flowering”, composed between 1910 and 1919. 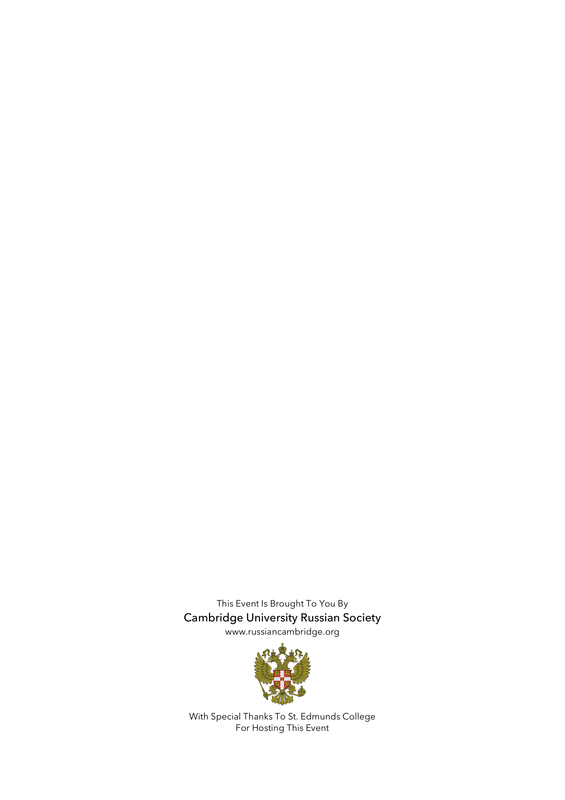 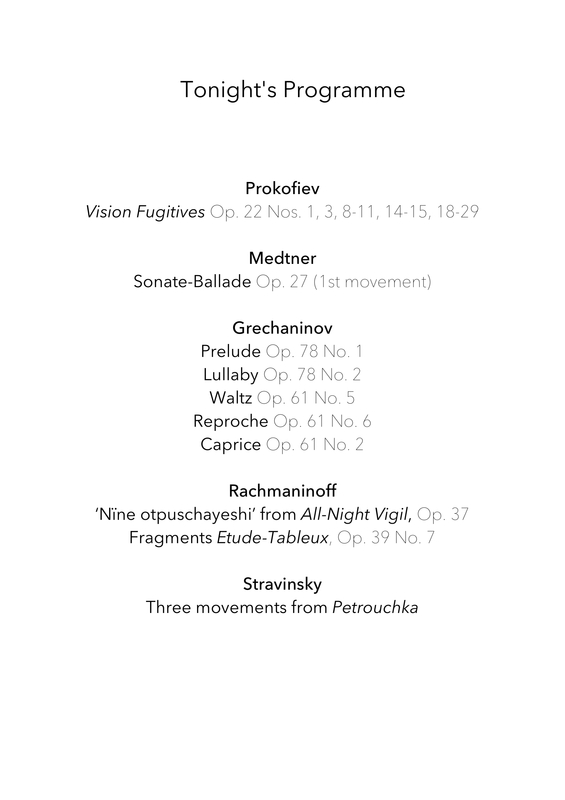 It included rarely performed miniatures by: Grechaninov, Medtner Prokofiev, Rachmaninov and Stravinsky.